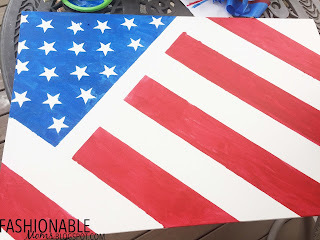 You could do them in rows like the actual American flag, or do a design of random sizes and placement of the stars! 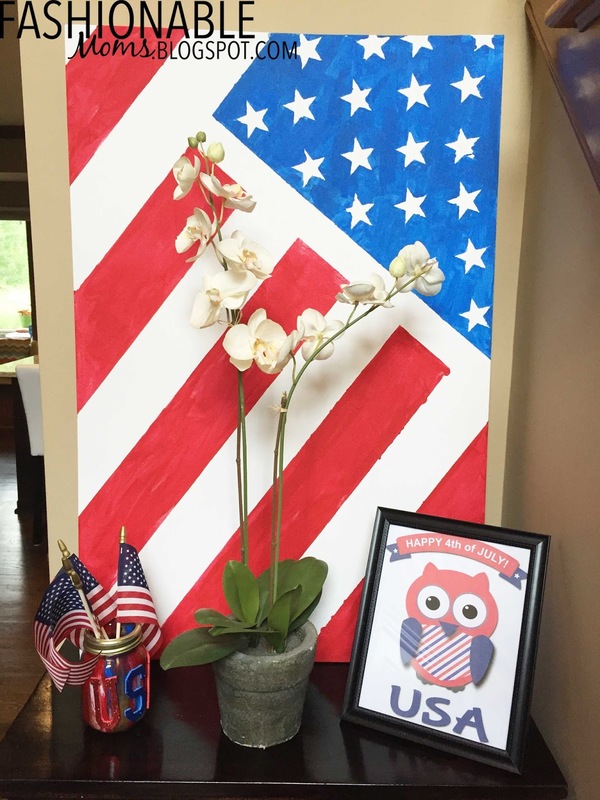 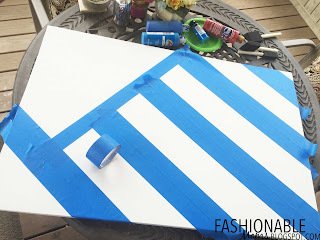 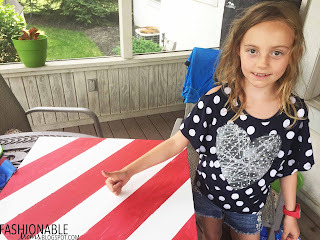 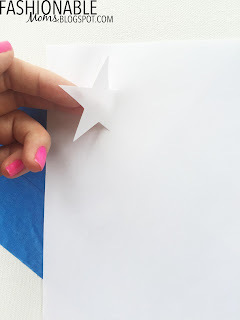 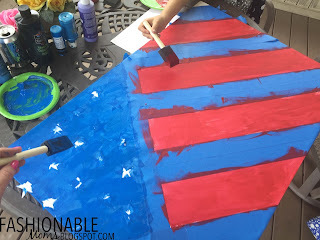 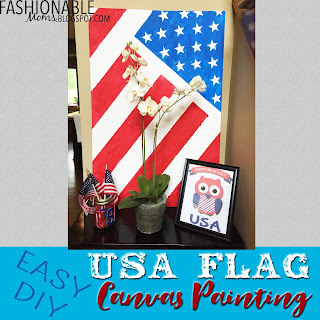 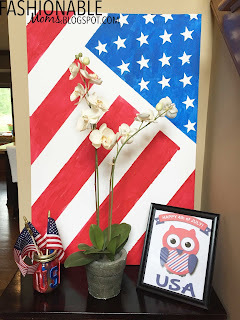 Use red paint for the stripes and blue paint over the stars. Peel off the stickers and tape immediately when you're done painting.